and Peace Workers Collaborating Across Borders. New York: Routledge. Gerstein, L.H., Heppner, P. P., Ægisdóttir, S., Leung, S. A., & Norsworthy, K. L. (Eds.) (2011). Essentials of Cross Cultural Counseling. Thousand Oaks, CA: Sage. Gerstein, L. H., Heppner, P. P., Ægisdóttir, S., Leung, S. A., & Norsworthy, K. L. (Eds.) (2009). International Handbook of Cross Cultural Counseling: Assumptions and Practices Worldwide. Thousand Oaks, CA: Sage. Norsworthy, K. L. & Khuankaew, O. (2012) Feminist border crossings: Our transnational partnership in peace and justice work. In Kottler, J., Englar-Carlson, M. & Carlon, J. (Eds. ), Helping beyond the 50 minute hour: Therapists involved in meaningful social action. New York: Routledge. Norsworthy, K.L., Abrams, E.M., & Lindlau, S. (2012). Activism, advocacy, and social justice in feminist counseling psychology. In C. Z. Enns & E.N. Williams (Eds. ), The Oxford Handbook of Feminist Multicultural Counseling Psychology. USA: Oxford University Press. Tang, M., Conyne, R., Heppner, P.P., Horne, S., Norsworthy, K. et al. (2012). Implications of the international counseling experiences of pioneering U.S. professionals: Considered from an ecological perspective. International Journal for the Advancement of Counseling. 34(3), 242 – 258. Norsworthy, K.L., McLaren, M.A., & Waterfield, L. (2012). Women’s power in relationships. In J. C. Chrisler, Reproductive justice: A global concern. Santa Barbara, CA: ABC-CLIO. in conflict. Women & Therapy, 34(3), 242-260. Gerstein, L. H., Heppner, P., Ægisdóttir, S., Leung, S. A., & Norsworthy, K. L. (2009). Cross-cultural counseling: History, challenges, and rationale. In L. H. Gerstein, P. P. Heppner, S. Ægisdóttir, S.A. Leung, & K. L. Norsworthy (Eds. ), International Handbook of Cross Cultural Counseling: Assumptions and Practices Worldwide. (pp. 3 – 32). Thousand Oaks, CA: Sage. Norsworthy, K.L., Heppner, P.P., Ægisdóttir, S., Gerstein, L.H. & Pedersen, P. B. (2009). Exportation of U.S.-Based models of counseling and counseling psychology: A critical analysis. In L. H. Gerstein, P. P. Heppner, S. Ægisdóttir, S.A. Leung, & K. L. Norsworthy (Eds. ), International Handbook of Cross Cultural Counseling: Assumptions and Practices Worldwide. (pp. 69-88). Thousand Oaks, CA: Sage. Leung, S.A., Clawson, T., Norsworthy, K.L., Tena, A., Szilagyi, A. & Rogers, J. (2009). Internationalization of the counseling profession: An indigenous perspective. In L. H. Gerstein, P. P. Heppner, S. Ægisdóttir, S.A. Leung, & K. L. Norsworthy (Eds. ), International Handbook of Cross Cultural Counseling: Assumptions and Practices Worldwide. (pp. 111-124). Thousand Oaks, CA: Sage. Norsworthy, K.L., Leung, S.M., Heppner, P. P., & Wang, L. (2009). Crossing borders in collaboration. In L. H. Gerstein, P. P. Heppner, S. Ægisdóttir, S.A. Leung, & K. L. Norsworthy (Eds. ), International Handbook of Cross Cultural Counseling: Assumptions and Practices Worldwide. (pp. 125-140). Thousand Oaks, CA: Sage. Gerstein, L. H., Heppner, P., Ægisdóttir, S., Leung, S. A., & Norsworthy, K. L. (2009). A global vision for the future of cross-cultural counseling: Theory, collaboration, research, and training. In L. H. Gerstein, P. P. Heppner, S. Ægisdóttir, S.A. Leung, & K. L. Norsworthy (Eds. ), International Handbook of Cross Cultural Counseling: Assumptions and Practices Worldwide. (pp. 503 - 522). Thousand Oaks, CA: Sage. Norsworthy, K.L. (2009). Mosaics of trauma and recovery: A feminist guide. [Review of the book Cultural Competence in Trauma Therapy: Beyond the Flashback]. Psychology of Women Quarterly, 33, 251-252. Norsworthy, K.L. & Khuankaew, O. (2008). A New View from women of Thailand about gender, sexuality, and HIV/AIDS. Feminism & Psychology, 18 (4), 527-536. Norsworthy, K.L. (2008). Peacework with Thai Muslim and Buddhist communities in conflict. In T. Ilter, N. Kara, M. Atabey, Y. Arslan, & M. Orun, Communication in Peace/Conflict in Communication. Famagusta, Northern Cyprus: Eastern Mediterranean University Press, 153-158. Norsworthy, K.L. (2007). Warming the global spirit: Kindness as peace work. [Review of the book The Power of Kindness: The Unexpected Benefits of Leading a Compassionate Life]. PsychCritiques-Contemporary Psychology: APA Review of Books, 52 (9). Norsworthy, K.L. with Khuankaew, O. (2006). Bringing social justice to international practices of counseling psychology. In R, L. Toporek, L. Gerstein, N. Fouad, G. Roysircar, & T. Israel, Handbook for social justice in counseling psychology: Leadership, vision, and action. Thousand Oaks, CA: Sage, 421-441. Khuankaew, O. & Norsworthy, K.L. (2005). Crossing borders: Activist responses to globalization by women of the Global South. Globalization Research Center (renamed Patel Center), University of South Florida, Occasional Papers on Globalization, 2 (2). Norsworthy, K.L. (2005, May 25). Awakening the spirit in psychotherapy [Review of the book Cognitive humanistic therapy: Buddhism, Christianity, and being fully human]. PsycCRITIQUES—Contemporary Psychology: APA Review of Books, 50 (21). Norsworthy, K.L. (2004). Integrating feminist theory and engaged Buddhism: Counseling women survivors of gender-based violence. In K.L. Tsomo (Ed.). Buddhist women and social justice: Ideals, challenges, and achievements. New York: SUNY. Norsworthy, K.L. & Khuankaew, O. (2004). Women of Burma speak out: Workshops to deconstruct gender-based violence and build systems of peace and justice. Journal for Specialists in Group Work, 29 (3), 259-283. Norsworthy, K.L & Gerstein, L. (Guest Editors). (2003) Special Issue: Counseling and Communities of Peace, International Journal for the Advancement of Counseling, 25 (4). Norsworthy, K.L. & Gerstein, L. (2003). Counseling and building communities of peace: The interconnections. International Journal for the Advancement of Counseling, 25(4), 197-203. Norsworthy, K.L. (2003). Understanding violence against women in Southeast Asia: A group approach in social justice work. International Journal for the Advancement of Counseling, 25 (2/3), 145-156. Norsworthy, K.L. (2002). Feminist interventions for Southeast Asian women trauma survivors: Deconstructing gender-based violence and developing structures of peace. Greensboro, N.C.: Resources in Education. ERIC Doc. No. ED 465-145. Norsworthy, K.L. (2002). The feminist patriot. An oxymoron? (2002, Winter). The Feminist Psychologist, 29, (1). Khuankaew, O. & Norsworthy, K.L. (2001). An exploration of death and dying: Challenges for people with HIV/AIDS, their care givers and loved ones. 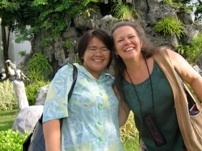 Bangkok, Thailand: International Network of Engaged Buddhists. Khuankaew, O. & Norsworthy, K.L. (2000). Struggles for peace, justice, unity and freedom: Stories of the women of Burma. Seeds of Peace, 16 (3), 16-18. 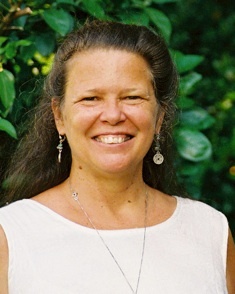 Kathryn L. Norsworthy is a counseling psychologist and professor of Graduate Studies in Counseling at Rollins College, where she teaches courses focusing on multicultural and social justice counseling, family therapy, mindfulness in counseling and psychotherapy,clinical hypnosis, and clinical practice. With specializations in trauma, socially just peace building, and feminist therapy, she engages in action research, activism, and practice internationally, nationally, and in the central Florida community. Thai PBS Explorer Feature (Bangkok, Thailand). 2011 Ursula Gielen International Book Award for Gerstein, L. H., Heppner, P. P., Ægisdóttir, S., Leung, S. A., & Norsworthy, K. L. (Eds.) (2009). International Handbook of Cross Cultural Counseling: Assumptions and Practices Worldwide. American Psychological Association Division of International Psychology. Fellow, American Psychological Association. August, 2010. Social Justice Award, Society of Counseling Psychology/American Psychological Association. National convention, August, 2009, Toronto, Canada. Florence L. Denmark and Mary E. Reuder Award for Outstanding International Contributions to the Psychology of Women and Gender. Division of International Psychology/American Psychological Association. National convention, August 2009, Toronto, Canada. Honoree, Division 48 (Peace Psychology). (Honored by the division for Humanitarian Hero profile in the Dec. 2007 APA Monitor on Psychology). August, 2008. American Psychological Association Convention, Boston, Mass. Many Faces of Counseling Psychology Award, 2008 International Counseling Psychology Conference (sponsored by APA Society of Counseling Psychology), March 2008, Chicago, Ill.
2007 Outstanding International Psychologist. Division of International Psychology/ American Psychological Association. National convention, August, 2007, San Francisco, CA. June, 2005. Outstanding Journal Article for 2004, “Norsworthy, K.L. 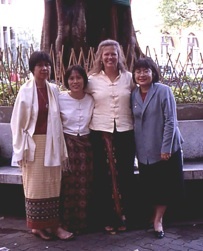 & Khuankaew, O., Women of Burma speak out: Workshops to deconstruct gender-based violence against women and build communities of peace and justice,” September, 2004, Journal for Specialists in Group Work.  Official journal of the Division for Group Work, American Counseling Association. Kitty Cole Human Rights Award, American Counseling Association (highest career award given by ACA in this category), National ACA Convention, March, 2003, Anaheim, CA. Ohana Social Justice Award, Presented by Counselors for Social Justice/ American Counseling Association, National convention, March, 2002, New Orleans, LA. Hope and Diversity Award. Hope CommUnity Center (Apopka Farmworker Ministry). March 2013. President’s Award for Diversity and Inclusion (Inaugural award). Rollins College. May 2010. Office of Multicultural Affairs (OMA) Lifetime Achievement Award. Rollins College (For contributions at the college, local, national and international level). March 2009. Bornstein Faculty Scholar (2008/09). Rollins College (For bringing national and international recognition to Rollins College). McKean Award (2001), Rollins College/Genius Foundation,. Research focus: Cross-cultural consultation: Deconstructing psychological colonization and neo-colonialism in Global South-North collaboration.